An off-grid solar panel in Detroit. A bike shop in South Minneapolis. A chicken coop at the Coal River Mountain Watch homestead. Two hundred filled-out surveys on visions for the community in Portland. Five summer camps in Oakland, Raleigh, Lexington, Chicago, and Hartford. A dozen farm plots across the country. 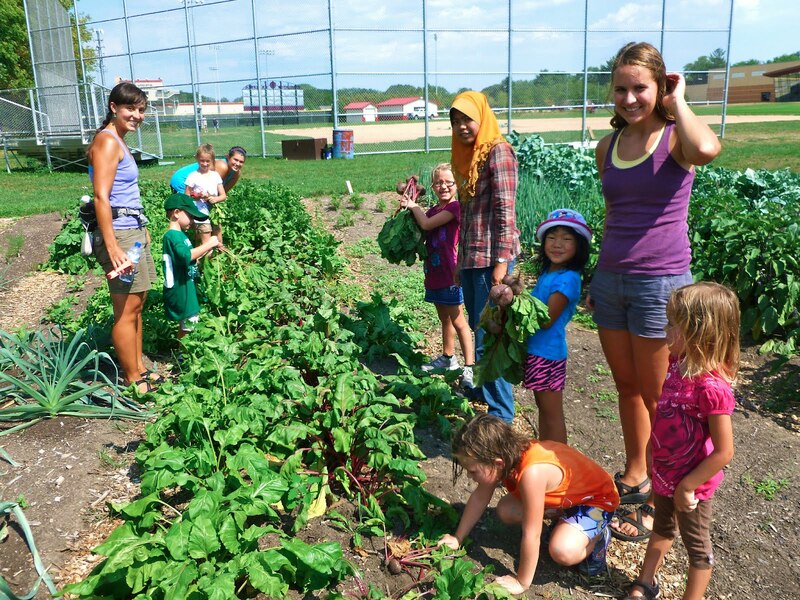 Members of Middleton Summer of Solutions in their Children’s Garden. Over 300 participants trained in community organizing, sustainable venture development, and distributed leadership. Young people who learned how to plant a seed for the first time. How to help a child believe in herself. How to develop a community owned solar business. How to listen. How to build something that works. This is a small slice of the legacy of the sixteen 2012 Summer of Solutions programs. We are inviting other young people to join in and become a part of the Grand Aspirations network of empowerment through getting things done. Grand Aspirations leaders at the 2012 national gathering in Hartford. You have the opportunity to step up and lead a Summer of Solutions program or Local Initiative of Grand Aspirations in the coming year. Running Summer of Solutions can be a life-changing experience, as you can see in this testimonial from past program leader Elana Bulman. Grand Aspirations does not only serve young people; Grand Aspirations is entirely led and its programs are envisioned and enacted by young people. We are excited to welcome more young people from all around the country into our network. Summer of Solutions is a leadership development experience for young people ages 14-30 to build justice, community, sustainability, and prosperity. Summer of Solutions programs take on a variety of projects, including but not limited to founding businesses, launching farms, running summer camps, conducting listening projects, and partnering with local residents, nonprofits, and governments. Realms of work for programs in the past have included energy efficiency, clean energy, local food, sustainable transit, green manufacturing, community empowerment, alternative education, and economic justice. All Summer of Solutions programs share a focus on empowering young people to be leaders in a just, green economy. Summer of Solutions programs take place between June and August and are usually between 7-10 weeks long. The planning process begins in late October. Local Initiatives of Grand Aspirations are new this year. The structure of Local Initiatives is designed to provide the same support and network to year-round green economy work that Summer of Solutions get for summer-focused work. Local Initiatives may include an element of leadership development, but do not have to. There is a ton of room for creativity and innovation in what Local Initiatives look like! We are testing Local Initiatives as a pilot this year and we want you to join us. To run a Summer of Solutions program or Local Initiative in the coming year, please apply by October 19. You can apply here to run a new Summer of Solutions, join an existing Summer of Solutions, or start a new Local Initiative. There is limited funding available to pay stipends to program leaders of both Local Initiatives and Summer of Solutions programs. Contact Ruby Levine (ruby.levine@gmail.com) with any questions. This entry was posted in Grand Aspirations National, Summer of Solutions and tagged application, local initiatives, Summer of Solutions by rubylevine. Bookmark the permalink.